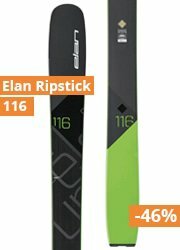 The Atomic Vantage 90 CTI grips like a high-performance piste ski, but with its All Mountain Rocker it still delivers killer performance across the mountain. It’s one of the top models in our Vantage series – progressive all-mountain skis built to be great on hard pack and equally good in soft snow. To achieve that balance it features Carbon Tank Mesh, a layer of rigid woven mesh that adds strength across the ski while actually reducing weight. That’s on top of a Titanium Backbone 2.0 that runs the length of the ski. The ski also comes with the iconic Vantage Firewall, an extra full sidewall for power transmission and edge grip. Plus a Power Woodcore, more directional shape and less tail turn up – all adding to its piste performance. A structured surface adds durability and snow comes of easily.